Leionema lamprophyllum is an early flowering evergreen shrub that attracts bees ti the garden in late winter to early spring. Masses of white flowers cover the plant for weeks and both native bees and honey bees flock to it. 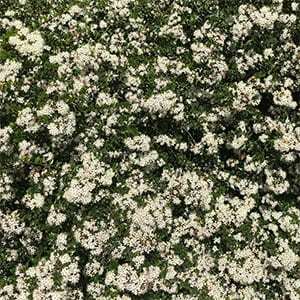 It is a somewhat sprawling bush and can easily reach 2 – 3 metres across and seems to settle at around 1 – 1.5 metres in height. This is a very easy care plant in a well drained soil and a sunny position. In warmer areas some protection from afternoon sun will be beneficial. Dig the soil over well before planting, water in well and mulch around the plant. Provide some additional water during dry periods over the first summer. This is a sprawling plant so give it room to grow, or simply keep it well pruned. Regular pruning after flowering will help keep the plant as more compact form. You can prune back fairly hard if needed, best pruned in spring. Flowers – White and lightly perfumed. Flowering Time – Late winter into Spring.